Makeup trends. We all know they come and go and come back again reimagined and rebranded as “vintage”. But highlighting. 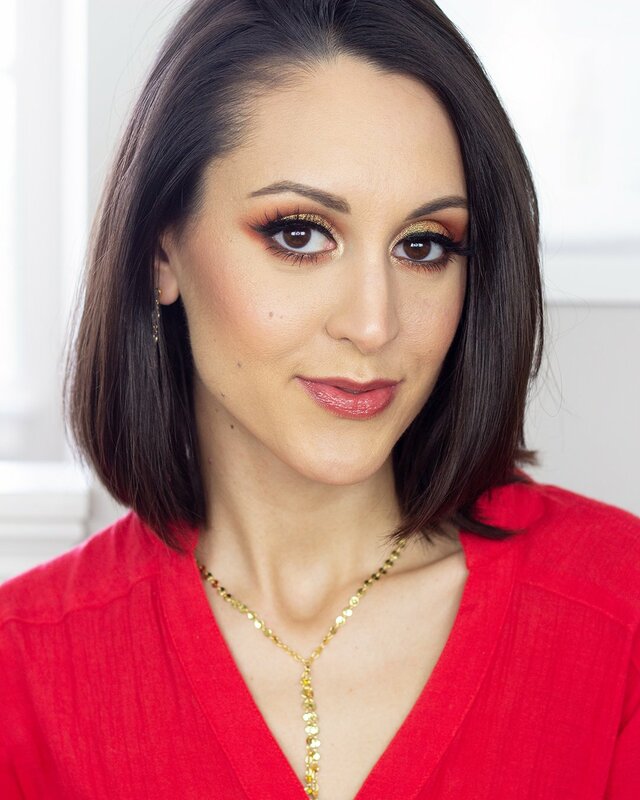 With the continued mass hype around turning your face into a shining luminescent beacon, it doesn’t seem like the end of this trend is anywhere in sight. Is it just me, or is there a new glow-inducing product hitting the shelves from some brand somewhere every single day? And while I’ll be the first to admit that they’re all stunning to look at, it’s also kind of overwhelming. How does one possibly keep up? As a blogger and generally curious person, my natural inclination is to want to try everything. But with only one face and only once source of serious income, the line needs to be drawn somewhere. 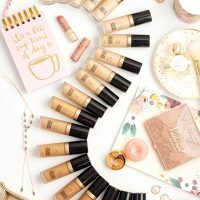 Fortunately, I’ve got Influenster in my life, which is not only a great resource for staying up to date on new product launches, but also affords me the opportunity to actually try some of those products without the worry of breaking the bank. 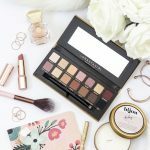 For those of you who aren’t familiar with Influenster, they’re a company that networks between brands and social media influencers. 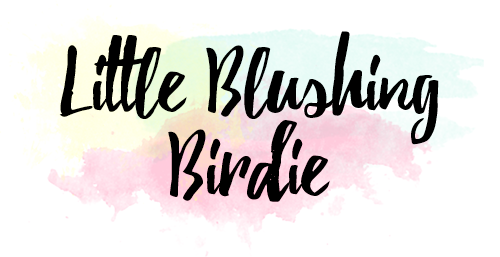 It’s entirely free to join, and doesn’t require you to be a blogger or vlogger (although it certainly does help). 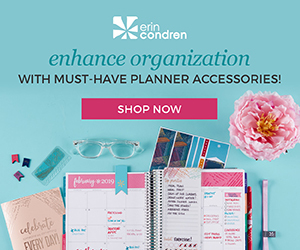 Based on your profile, how active you are in the Influenster community, and your number of followers, you can qualify for different campaigns where you’re sent free product to test and review. I’ve been a member for about a year and a half now, and I’ve been lucky enough to participate in some pretty awesome campaigns from brands like L’Oreal, Neutrogena, YSL, and Marc Jacobs. While you are asked to share your thoughts on whatever products you test, those opinions aren’t assumed to always be positive, which is something that I’ve always thought important. I’ll graciously accept freebies, but never on the premise that I’ll say something is great when it is, in fact, kind of terrible. Which brings us back to the reason you probably clicked on this post. 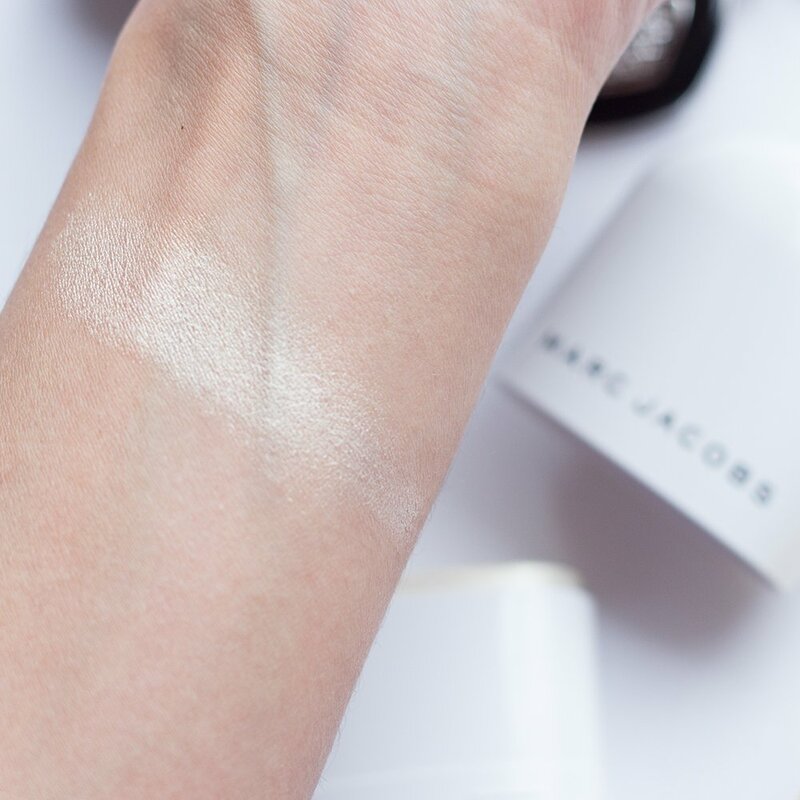 I’ve got my hands on the new Marc Jacobs Beauty Glow Stick Glistening Illuminator, and I’m ready to give you guys the low down. Yes, it was sent to me for free to review, but everything I have to say about it is my own, honest opinion. We’re all friends here, and real friends don’t lie to each other. Amirite? With a million and one highlighters on the market, the first thing you may be wondering is what makes the Glow Stick so special? According to my research (aka, what I’ve learned from perusing the Sephora website), this cream-based highlighter stick is formulated in a single, universally flattering shade (deemed Spotlight). 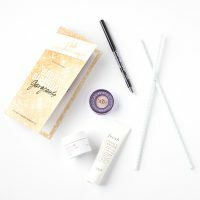 It contains both gold and silver light reflecting particles with a pearlescent sheen so that both warm and cool undertones alike can get that youthful, lit-from-within glow. 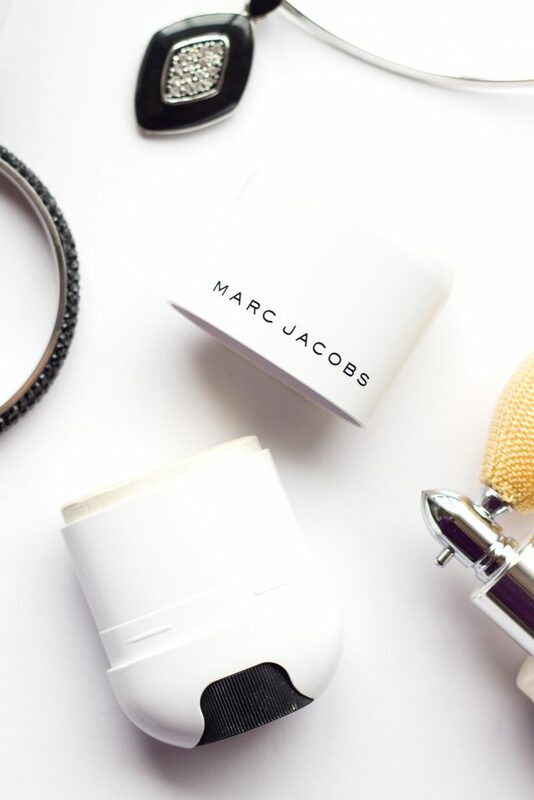 The packaging is designed to hug along your cheekbones for one-swipe application that can easily be blended in with your fingers or a brush. 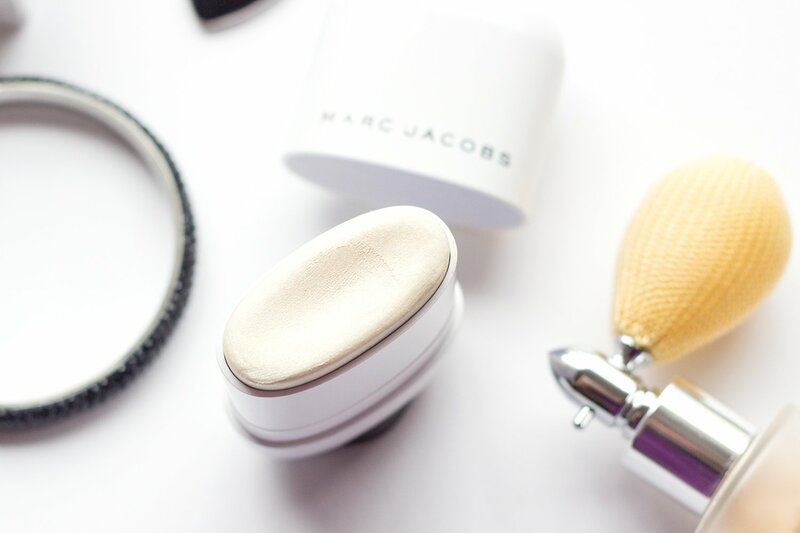 With a creamy texture that promises to never be wet or sticky, the Marc Jacobs Beauty Glow Stick is meant to channel that runway radiance, providing you with a natural, yet luminous glow with minimal effort. Wonderful. Sounds fantastic. But doesn’t every product page? In truth, this highlighter is very nice, but no where near as mind blowing as promised. First, let’s talk packaging. The deodorant-style tube has a kind of cool mod-esque vibe to it, but also toes the line between being innovative and inconvenient. The stick basically covers the entire surface area of my upper cheekbone, which perhaps makes for quick application, but is also therefore a little less precise. I find myself most often swirling my fingers directly onto the stick and patting the product into my skin as a result, which is fine, but kind of defeats the purpose of it having a unique shape. I do, however, appreciate that the plastic packaging is durable, easy to keep clean, and incredibly purse friendly. Then there is the product itself. The color is beautiful, and I could see it working well on a multitude of skintones (although I do wonder if it would come across as too frosty on deeper complexions). However my immediate reaction upon first swipe is that the pigmentation itself is a little chunky and uneven. Having not wanted to overdo it, my first couple of applications were not directly from the stick itself, but rather from my fingers, and as a result I felt the end result was very subtle and unimpressive. 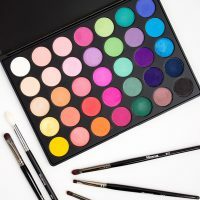 But having played around with it a bit more, I’ve found that if you apply the product directly from the stick and then blend it in, the finish is greatly intensified and the pigmentation more even. 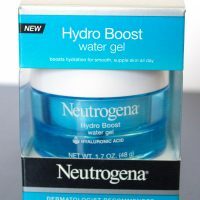 As promised, this highlighter does not leave your skin feeling wet or sticky, although it certainly maintains a bit of a slippy feel. If that is bothersome, you could set it down with another powder highlight if you wanted (and also didn’t mind potentially blinding people when you turn your cheek at them). Longevity-wise I found it wore fairly well, and held up for several hours on my skin without fading. But then there is the price tag. 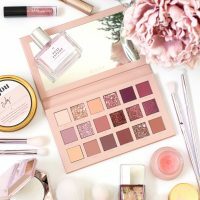 It’s rare that I’ll drop $40+ on a single cosmetics item. And if I’m going to make the splurge, it better be so insanely fabulous that you could find me talking about it in my sleep. And while I think this product is good, I don’t think it’s on the level of haunting my dreams. Over time this product has certainly grown on me, and I’m happy that I got the chance to try it out. It’s not my all-time favorite highlighter of life, but after a fair amount of experimentation I think I’ve gotten it to work for me. As with any other cream product, I think the key to this product is proper layering and blending. 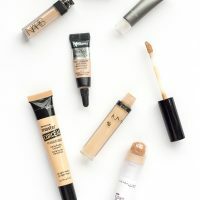 I would avoid applying this on top of powder foundation, as the end result will almost certainly look chunky, and blending will be a bit of a nightmare. But paired with a nice, dewy BB cream, I think it’ll melt into the skin beautifully. 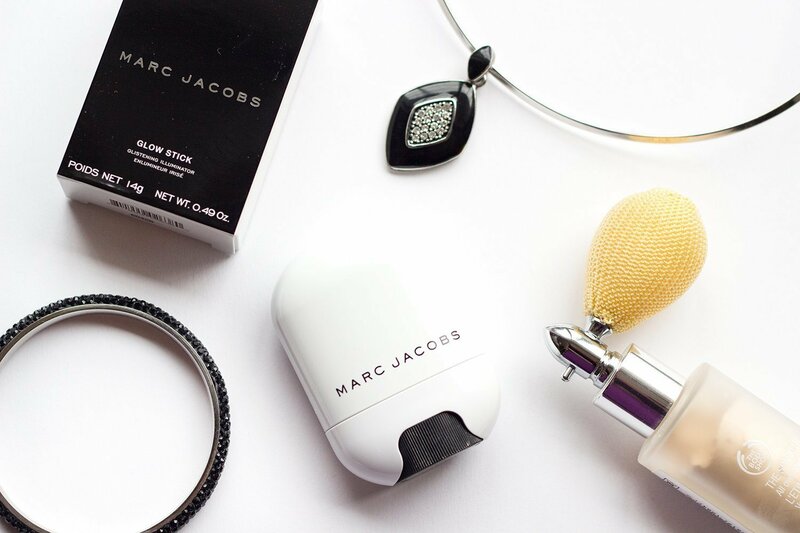 If you’ve also tried the Marc Jacobs Beauty Glow Stick, I’d love to hear your thoughts! What’s your favorite method of application? Did you feel the universal color worked for your skintone? Do you think it’s worth $42? Let us all know in the comments below!